Isolation and/or switching of high power circuits, where a high short circuit withstand and high voltage isolation is required. 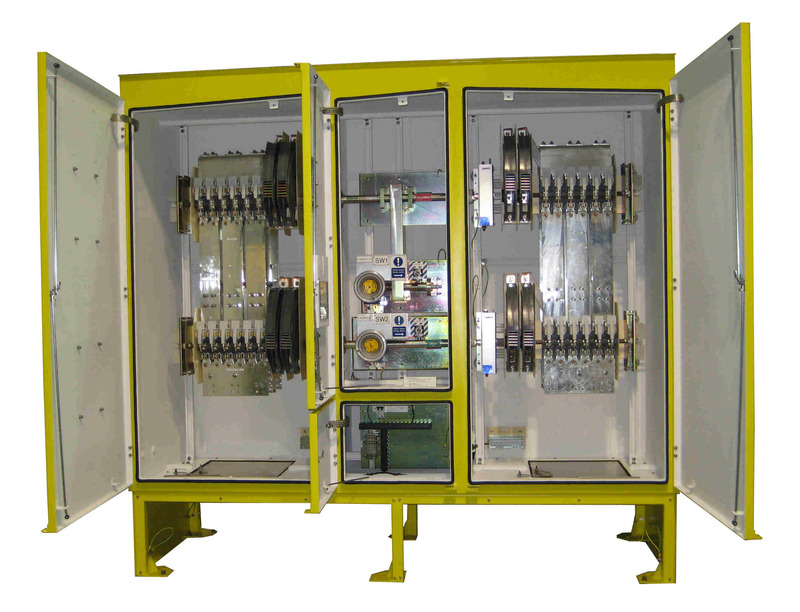 Typically used by London Underground for depot track road changeover switching. Manually operated on load, fault make / load break Disconnector. Plinth mounted or wall mounted from rear straps (not visible in the picture), cable entry un-drilled Aluminium gland plates. All cabling consists of 3 x 935mm2 Copper for each positive and negative connection.